Talented U.S. reggae singer J Boog recently dropped a new five track EP titled Rose Petals, a set where Stephen “Ragga” Marley, Chaka Demus and Snoop Dogg aka Snoop Lion contributes with verses on one track each. It has been three years since J Boog released more than a single and this new EP is certainly very welcome. It offers contemporary and bouncy romantic – sometimes leaning towards the lewd – reggae with highlights such as the Chaka Demus combination Good Cry and the slick title track. Brighter Days is sunny stadium reggae with an infectious sing-a-long chorus and motivational lyrics, while Good Feeling is a version of Dee Sharp’s lovers rock anthem Let’s Dub It Up. Snoop Dogg appears on the racy and funky No Pressure, a bonus cut which, according to The Island Sound, was recorded already in 2012. 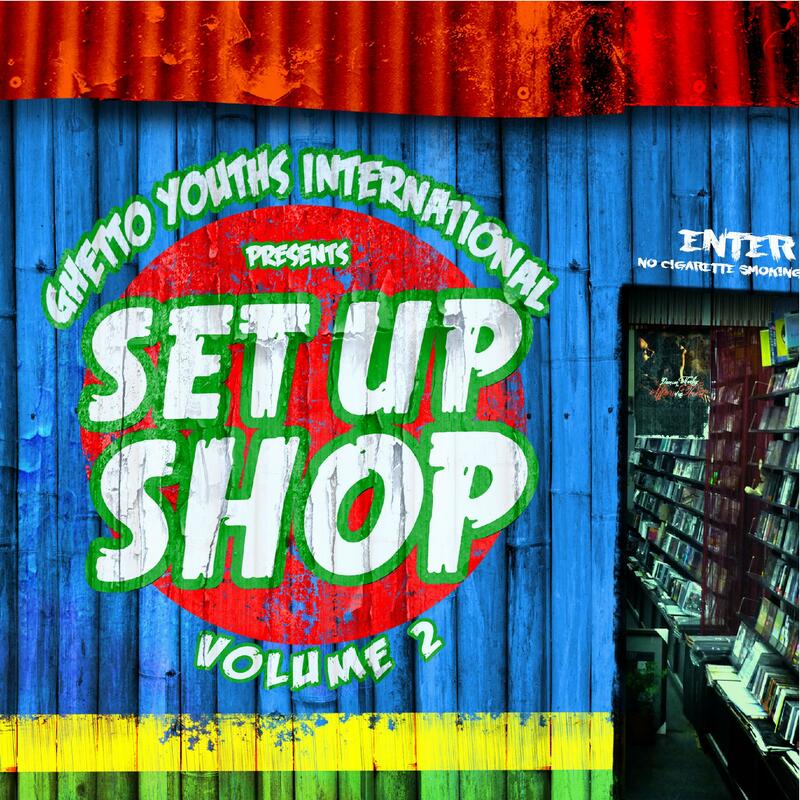 For the third year in a row Ghetto Youths International – the label spearheaded by Damian, Stephen and Julian Marley – has launched a new volume in the Set Up Shop series. This third and latest installment was put out in late December – two days before Christmas – with virtually no marketing or PR. Not even a press release was distributed. The compilation features tracks from the Marley brothers together with their usual collaborators, including Black-Am-I, Christopher Ellis and Stephen Marley’s eldest son Jo Mersa Marley along with a few new additions to the roster, such as Kabaka Pyramid, Bunji Garlin, J Boog and Skip Marley, son of Bob Marley’s daughter Cedella Marley. Several of the tracks have previously surfaced – Morgan Heritage & Jo Mersa’s Light It Up was featured on the band’s Grammy nominated latest album and Kabaka Pyramid’s ironic smash hit Well Done, Julian Marley’s Lemme Go, Stephen Marley & Bounty Killer & Cobra’s Ghetto Boy, Skip Marley’s Cry To Me and Damian Marley & Bunji Garlin’s The Message have been released as a singles. Set Up Shop Vol 3 is like a well-assorted store with one isle with dancehall, like album opener The Message, and another with some rootsier cuts, such as Rude Bwoy with its all-star cast and Eek-a-Mouse influenced hook. Then you also have a shelf with sweets, where you’ll find Christopher Ellis’ Glory. As usual with releases from Ghetto Youths International they are not available for streaming, only purchasing via iTunes. But this edition has a highly competitive price though – roughly only $2 or €2 for the full album which comes with 16 tracks. The day before Christmas three Marley brothers decided to drop a new compilation – Set Up Shop Vol. 2. A strange date one might think, but this 15 track set still managed to debut at #1 on U.S. Billboard Reggae Album Chart. Set Up Shop Vol. 2 is in the same vein as its predecessor, a set released in early 2013. It hosts roughly the same artists – Damian, Julian and Stephen Marley along with Stephen Marley’s son Jo Mersa. Also onboard is Black-I-Am, Christopher Ellis, Wayne Marshall and Cham. Invited as guest performers are Biggz General, Illestr8, Spragga Benz, Irie Love, Junior Reid and Tarrus Riley. One hell of a line-up. It is primarily produced by the Grammy-winning brothers Stephen and Damian Marley, but Phillip “Winta” James is responsible for lead single Is It Worth It (Gunman World), performed by Damian Marley. Included are both new and previously released material and the set collects both tribal energy and hard-hitting dancehall as well as uplifting, sing-a-long anthems and sweet harmonies complete with handclaps, ukulele strumming and hypnotic bass lines. Stephen and Damian Marley has cooked up quite a stew here. And their signature and intoxicating blend of boastful hip-hop, raw roots reggae, reinvented rocksteady and clubbing is easy to recognize and fall in love with. 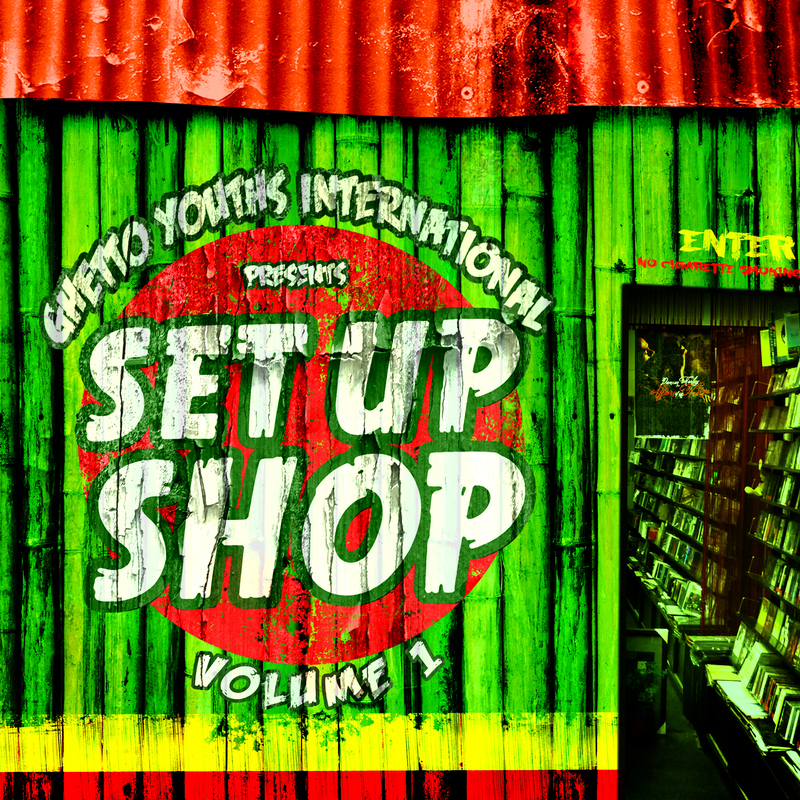 Ghetto Youths International, the record label owned and operated by Bob Marley’s sons Damian, Julian and Stephen, will release the brand new compilation Set Up Shop Vol. 2 on December 23. The 15-track compilation follows volume 1, released exclusively on iTunes in February 2013. The new album is primarily produced by the Grammy-winning brothers Stephen and Damian Marley. The set features new and already released material from the entire Ghetto Youths roster, including Jo Mersa, Black-Am-I, Christopher Ellis, Wayne Marshall and the label’s founders, along with dancehall artist Cham. Damian Marley’s Is It Worth It? (Gunman World) is lead single off the compilation and will be accompanied by short film music video directed by Nabil Elderkin, who has previously worked with Kanye West, Nicki Minaj and Frank Ocean. 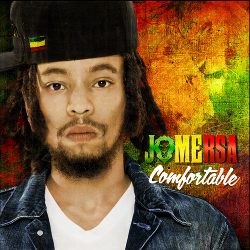 Jo Mersa is son of Stephen Marley. His grandfather is Bob Marley and his uncle is Damian Marley. One could say that the music industry has great expectations on him and his debut EP Comfortable, a six track set mainly produced by himself. He was born in Jamaica, but has migrated to Miami, U.S., and made his musical debut last year with the track Comfortable, included on Ghetto Youths International’s – a label owned by Stephen, Damian and Julian Marley – compilation Set Up Shop Vol. 1. He has also toured extensively with his father. Comfortable is a cross-over effort with an infectious and hook-filled mix of reggae, dancehall, pop, hip-hop and electronic dance music. Best of the bunch is hip-hop-influenced opener Rock and Swing, which borrows elements from the mighty Enter Into His Gates With Praise, and the catchy remix of Comfortable, on which Jo Mersa shares vocal duties with label mate Wayne Marshall. Jo Mersa certainly has much to live up to, but manages to carry his family’s legacy forward into the 21st century. Jo Mersa Marley is a third generation Marley. His father is the acclaimed and award-winning producer, singer and song-writer Stephen Marley, and his grandfather is Bob Marley. He more or less grew up in a tour bus and has recently started a career of his own. Some of his earliest material can be found on the excellent compilation Set Up Shop Vol. 1, released in early 2013. Now he’ll release an EP with his own material. Comfortable EP drops on June 10th and is described as a mix of love songs and dancehall tracks. The uplifting and smooth single Sunshine was recently put out and might give a hint of what to expect from this versatile reggae artist. 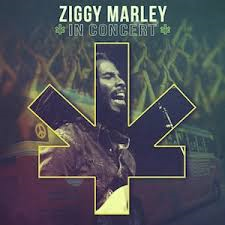 The 56th Annual Grammy Awards winners were presented yesterday and the reggae award went to Ziggy Marley and his live album Ziggy Marley in Concert. A set heard by the jury and no one else. Giving the award to Ziggy Marley was obvious, but not fair. Beres Hammond should have been awarded for his sublime double disc One Love, One Life. However, when browsing the winners in the reggae category since the start in 1985 it’s clear that whenever a Marley is nominated he or she will probably win. Since 1985 Ziggy Marley, Stephen Marley and Damian Marley have received the Grammy Award no less than ten times – Ziggy Marley five times, Stephen Marley three times and Damian Marley two times. It’s more or less an industry law. And it’s a pity because it sends the wrong signal to up and coming reggae artists. And it’s of course not the Marley’s fault. It’s the industry professionals that need to broaden their musical boundaries and give reggae the attention it deserves. Christopher Ellis, the youngest son of the late legendary Jamaican vocalist and rocksteady pioneer Alton Ellis, teamed up with Damian and Stephen Marley of Ghetto Youths International a few years ago. Over the years his involvement with the label has not been particularly fruitful. Until now. 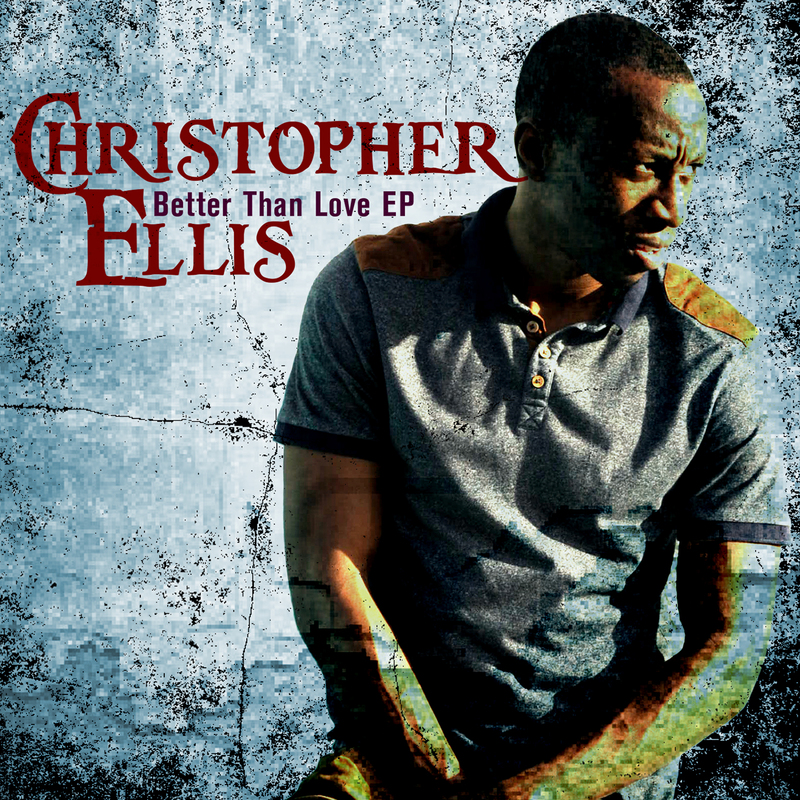 Damian Marley has produced Christopher Ellis debut EP Better Than Love, a set collecting five original tracks with mood and melodies taken from late the 60s soulful Jamaican rocksteady and reggae scene. It’s reminiscent of Jimmy Cliff’s comeback album Rebirth with influences from the often overlooked producer Leslie Kong as well as the early works from masterminds such as Clive Chin and Joe Gibbs. Christopher Ellis’ versions of his father’s material has been average and I haven’t been convinced by the man’s talent until now. He definitely carries his father’s legacy and I’m sure this EP would have made his father very proud. From out of the blue comes Damian, Julian and Stephen Marley’s first album on their Ghetto Youths International label. The title is taken from Damian Marley’s hard-hitting 2011 released single Set Up Shop. And several of the 14 tracks are in the same uncompromising and ferocious style. The set contains a few already released cuts, including Damian Marley’s title track and his romantic Affairs of the Heart, but also a number of new scorchers, one from him and several from fresh talents, such as the conscious Black-Am-I, Ziggy Marley’s eldest son Daniel Bambaata Marley and Jo Mersa, Stephen Marley’s son. Set Up Shop Vol. 1 is a bold and futuristic album that takes its influences from a number of genres and moods. It’s mellow and soft, like Daniel Marley’s sugary Treat You Right, but also rough, tough and grim, for example the dismal and provocative In Depence or the pounding heavyweight collaboration Go Hard with Damian Marley, Wayne Marshall, Aidonia, I-Octane, Assassin aka Agent Sasco, Bounty Killer and Vybz Kartel sharing microphone duties. Most surprising is however Christopher Ellis – son of the great Alton Ellis – and Bay C from T.O.K’s catchy dancehall doo-whopper Don’t Change Your Number, or, for that matter, Damian Marley’s new nugget Dem Neva Mek It with its rocking R&B piano. This star studded, eclectic and genre crossing compilation showcases an exciting mix of themes and talents as well as a new generation of Marley performers. These fresh voices certainly bode well for the future. Set Up Shop Vol. 1 is currently available on iTunes worldwide.